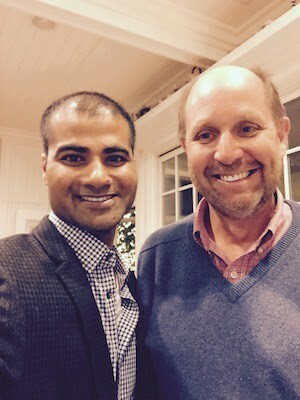 Suman Kanuganti and Larry Bock. Aira is excited to announce that the USA Science and Engineering Festival, April 7th and 8th, held at the Walter E. Washington Convention Center in Washington, DC, will feature free Aira service. We will be turning the event into an Aira pop-up to allow current explorers and guests the opportunity to use Aira to experience this amazing event, at no cost. Larry founded the San Diego Science Festival in 2009, and launched the first U.S. Science Festival the following year. The event has grown enormously since then, and we at Aira want to ensure that attendees who are blind or low vision can take advantage of the service to further immerse themselves in the exhibits and presentations that take place throughout the weekend. Aira invites students, parents, and enthusiasts to take advantage of Aira as-needed during the event, without deducting minutes from their regular plan. For those who are not yet explorers, take advantage of our guest program by using Aira on their smartphone. Click here for instructions on how to sign up. Learn more about the U.S. Science and Engineering Festival at https://usasciencefestival.org.